JCB has secured one of its biggest-ever deals in the UK – an order for more than 1,200 machines and a range of generators worth more than £55 million. A-Plant – the country’s leading equipment rental company – has placed the huge order, which includes more than 600 JCB Loadall telescopic handlers and more than 450 mini and midi excavators, as well as JCB rough terrain forklift trucks, site dumpers, backhoe loaders and tracked excavators. The deal is good news for JCB’s factories in Rocester, Uttoxeter and Cheadle, as well as Hixon, Staffordshire-based JCB Power Products, which is manufacturing a total of 162 generators ordered by A-Plant following its first-ever purchase of JCB units last year. The volume of generators bought is enough to power eight hospitals or 4,000 homes. It means that in the last three years A-Plant has placed orders with JCB worth more than £140 million. All the latest purchases are being supplied through JCB dealer Greenshields JCB. 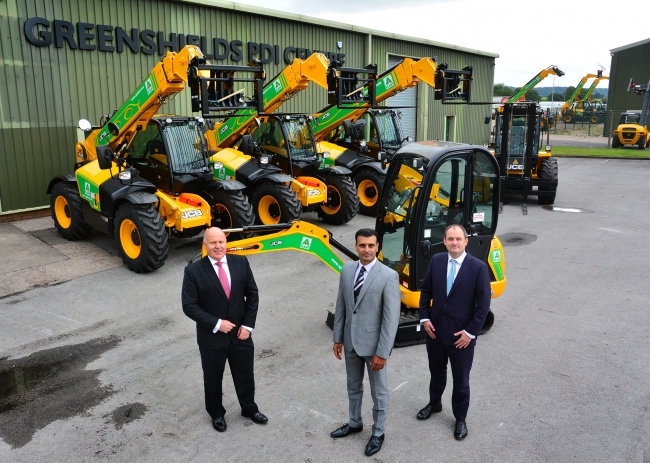 The investment reaffirms A-Plant’s market-leading reputation for supplying the youngest rental fleet in the plant, tool and equipment hire sector. The equipment will be distributed throughout its network of over 175 service centres. A-Plant Marketing Director Asif Latief added: “The latest products are more innovative, productive, safer, greener and more sustainable. We are delighted to have placed this latest order with JCB, which demonstrates our commitment to working with leading brands. It is part of our continual fleet investment programme which has seen A-Plant invest over £300 million during the last two years. A-Plant forms part of FTSE 100 company Ashtead Group plc and is the UK’s largest equipment rental company with more than175 Service Centres nationwide, more than 3,600 employees and over 35,000 customers in the construction, industrial, infrastructure and events sectors.